As a relationship therapist, infidelity is a common issue couples enter counseling for. I’m glad I am able to say many people report a positive experience after processing the affair. While they wouldn’t want to repeat the distress and pain, the learning and growth in themselves and the relationship is a worthwhile reward. Know affair recovery is possible – seek professional help, find your local relationship expert, a good psychologist or counselor that you feel can help you. Esther Perel – a certified relationship therapist has some interesting insights into this marital crisis. Please click on this link : Rethinking Infidelity by Esther Perel – relationship psychotherapist. 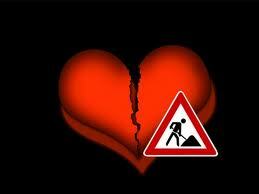 Infidelity and a broken heart can be repaired with good therapy and in time.